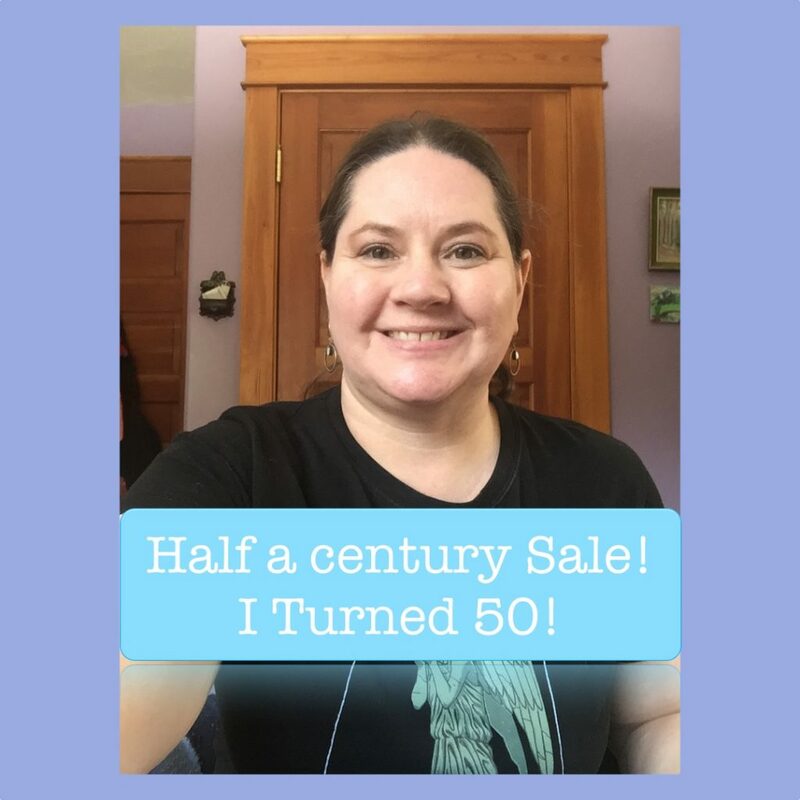 So yes I am um yeah half a century. How did that happen I ask me? Time marches on I guess. I don’t feel half a century that’s for sure and my mother told me I can’t talk about it. To celebrate it this year and kick off something that’s been rolling around in my head. There’s a mini sale going on. Mentor sessions have been percolating for a while and well what better way to celebrate then a sending them out to the Universe and you! I don’t even have a fracking name yet! They are intuitive and can involve regular coaching, me holding space and witnessing, light language and sound. Private sessions are intuitive and no two will ever be the same. Book a session for $50 USD because I am 50. Thanks everyone who bought one. Offer good April 12th through 16th, five days because um half a century!